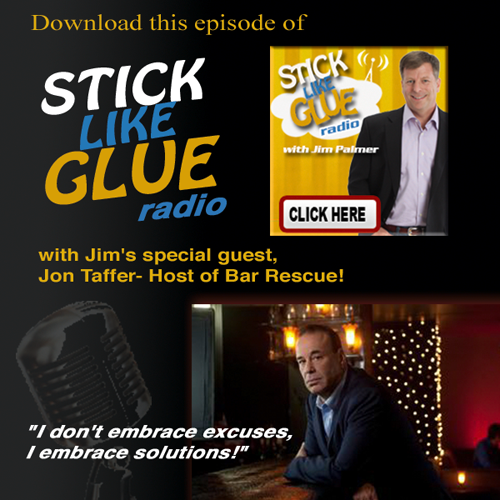 Stick Like Glue Radio: On this special episode of Stick Like Glue Radio I interview the host and marketing guru to the wildly popular show on Spike TV, Bar Rescue! Jon Taffer. Jon is a high energy entrepreneur who shares some truly brilliant advice on how to grow a business. Do not miss this show!